This demonstration video will explain how to use The Connector to exchange custom field information with JIRA. 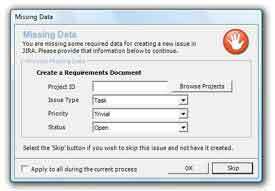 Version 1.1 has a new issue editor dialog that allows modification of much of JIRA's issue properties right from within Microsoft Project. Changes can be made in Project and updated to JIRA when desired. This demonstration video will show the ability of The Connector to create sub tasks in JIRA. This demonstration video shows the ease of using The Connector for updating groups of tasks at one time. 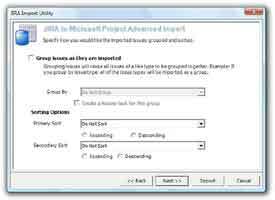 This demonstration video will show the flexibility of The Connector by combining a single Microsoft Project plan with issues that span multiple JIRA projects. 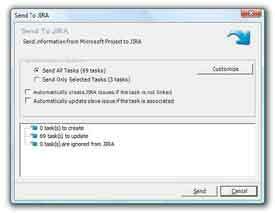 This demonstration video will explain using Microsoft Project's task deadline value for the JIRA issue due date. This demonstration video will demonstrate the use of Ecliptic Technologies' extended worklog services that will calculate actual percentage complete of your issues.